You can now street-hail Grab vehicles. End June, we speculated Grab was rolling out street-hailing with GrabBikes, though that turned out to be be false. 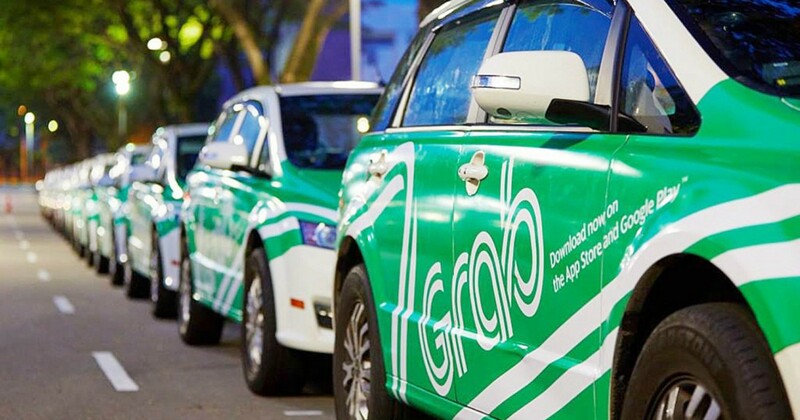 But today, Grab Singapore launched GrabNow – a new service where commuters can street-hail taxis identified by a special GrabNow decal. After boarding the vehicle, passengers then launch the Grab app and select the ‘Standard Taxi’ followed by the ‘GrabNow’ option. 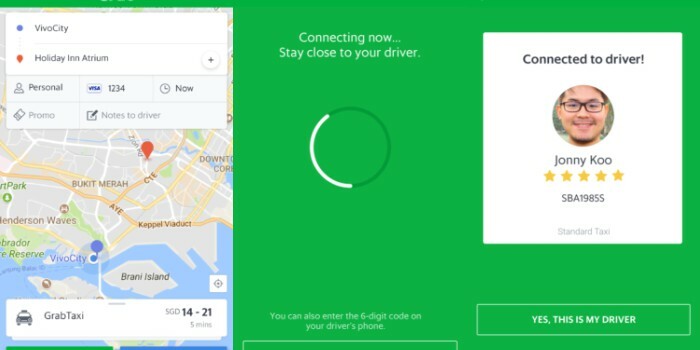 Doing this will prompt passengers to pair their smartphones with their drivers’ using either Google Nearby or a 6-digit code created on the driver’s phone. The entire process will take at most 10 seconds, and the ride will then be registered as a GrabTaxi ride. Rides can be paid for either with GrabPay, or by cash. Through these rides, passengers also get to enjoy GrabRewards points, no surcharge or admin fees (rides are charged by taxi metre). “At Grab, we’re constantly innovating to provide the best end-to-end experience for our driver-partners and passengers,” shared GrabTaxi Head Melvin Vu in the press release. “With GrabNow, our customers can enjoy the best of both worlds – the immediacy of street hailing as well as all the benefits of the Grab app, including cashless payments”. Taxi drivers still prefer cash fares because it’s fuss-free, and it’s hard to deny that many have expressed dissatisfaction with credit card payments due to the delayed pay-outs. As such, ride-hailing platforms end up being a turn-off for a taxi driver. But the new GrabNow launch also comes with an Instant Cash Out feature, a first in the ride-hailing industry. In the past, taxi drivers had to wait a day for the banks to process credit card payments. Grab’s new Cash Out allows taxi drivers to literally cash out their from their banks’ ATM, without waiting that 1 day. This is because any fares collected by GrabPay is instantly transferred to the drivers’ bank accounts. A second point to note is the long taxi queues at taxi stands. One would think it an off-peak period, but in truth, these taxis are surrounded by small crowds staring at their phones. By rolling out street-hailing, this ‘lack’ of passengers problem can also be solved, or at least, alleviated. A Monopoly In The Making? Street-hailing certainly solves the headache Grabbers like myself have when after we’ve made a booking, we see multiple taxis going by. We immediately regret the booking, and wrestle with the idea of waiting for our driver or risking penalty points. But in the larger picture, it also allows Grab to convert more of Singapore’s taxis over to the green side. Could this possible be a Grab monopoly in the making, as Grab stamps its decal on our taxi fleets? Who Says Singapore No Talent? These 7 Startups Are 100% Singaporean, Awesome, AND Hiring!